Today is the 243d anniversary of the battles of Lexington and Concord and the beginning of the War of the Revolution. I was at Lexington and Concord for the bicentennial. "Disperse ye rebels!" But they didn't. 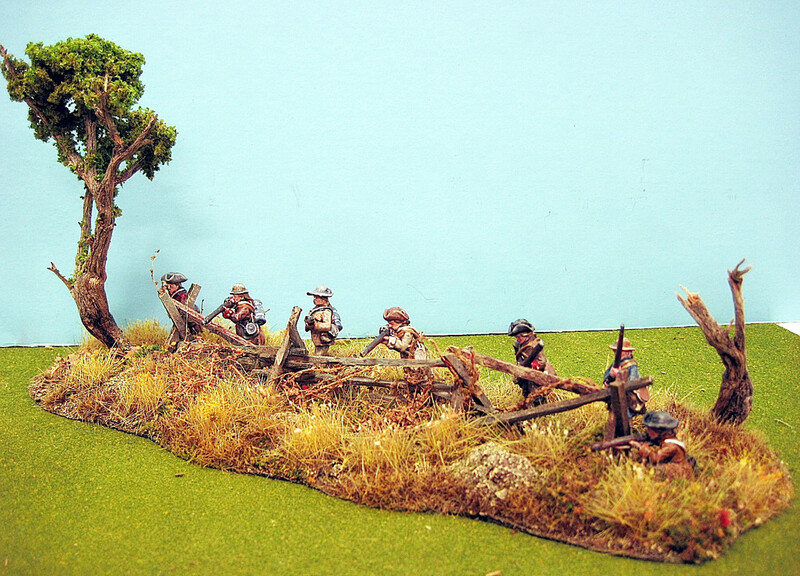 I've been assembling a bunch of British Grenadiers an Light Infantry for a while now. I'm also collecting saltbox houses etc. We did a Concord game a year or so back (Thanks, Eric!) 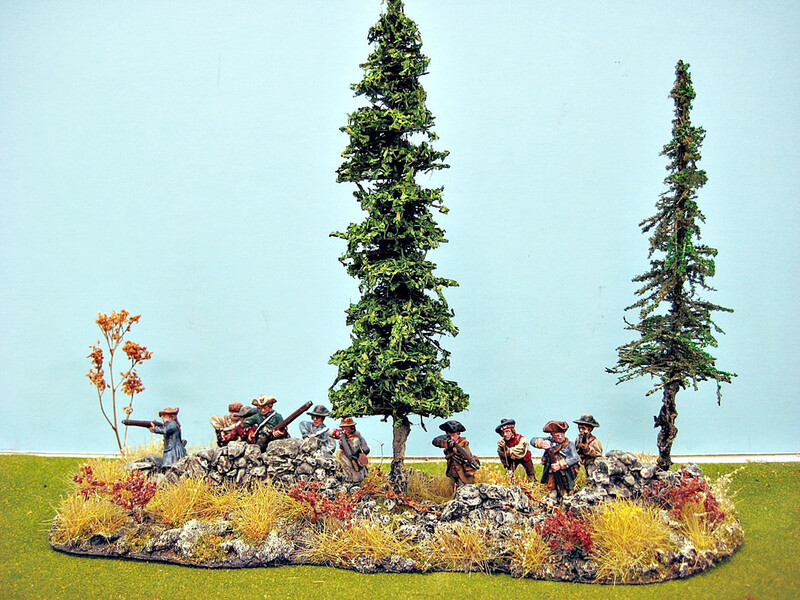 and I've always wanted to do a Battle Road game with random Minutemen popping up, and scrolling terrain. "Experts" keep telling me that the LI and Grenadiers would not have worn those splendid hats on what was supposed to be a simple march " out there" to seize contraband. "Stuff and nonsense!" I say. Of course they did! I have figures for them, right? Of course they did. "Do not fire unless fired upon, but if they mean to have a war, let it begin here." Was also there for the bicentennial, and a few other years. 2005 iirc was a huge reenactment. The war itself very nearly started on March 6, 1770, the night after the Boston Massacre. As Acting Governor Hutchinson held a Council meeting in the [Old] State House, men from all the towns were marching in to the city with their guns and having their own meetings at Faneuil Hall. If Hutchinson hadn't persuaded Lt. Col Dalrymple to remove the troops to Castle Island "under duress', the war was on right then. @Winston, now who wouldn't put on their fanciest hats to strike fear into ill-chapeaud provincials? So Doolittle lied when he drew those cartoons, then? Perhaps it was 2009, 225th anniversary, for the big one. And behold the battle of the hats! Foundry makes LI wearing the appropriate hats. 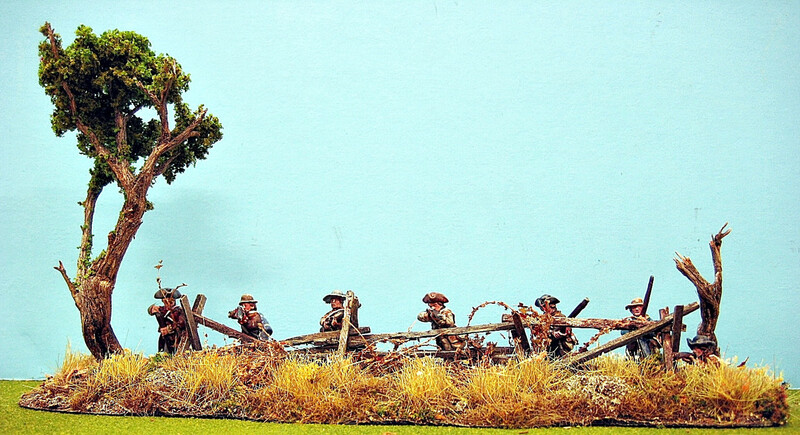 As do many manufacturers make Grenadiers. I bought and painted many of them. I find that far more compelling evidence than cartoons by an eyewitness. I am calendrically challenged today. @Winston always fantasized about the same game! Good excuse to pick up the ridiculously expensive Grand Manner Hartwell Tavern set. So everyone should be wearing floppy hats? Do I have to take my Troiani Parker's Revenge print down now? That better have a favorable exchange rate! "I was at Lexington and Concord for the bicentennial." I was at the Esplanade in Boston, listening to the music and the howitzers for the 1812 overture. And, our first dog was being born. Gazillions of people there. axabrax – One of my Hartwell ancestors owned that Tavern. Was also at the Pops concert on the Esplanade for the 4th bicentennial the year after Lexington & Concord. That was an amazing concert! Got there about 11am and camped out all day right up close to the Hatch Shell. I bought the Hartwell Tavern when GM ran a sale. I've managed to clean it and prime it back. Hopefully, this summer I can slap some paint on it. 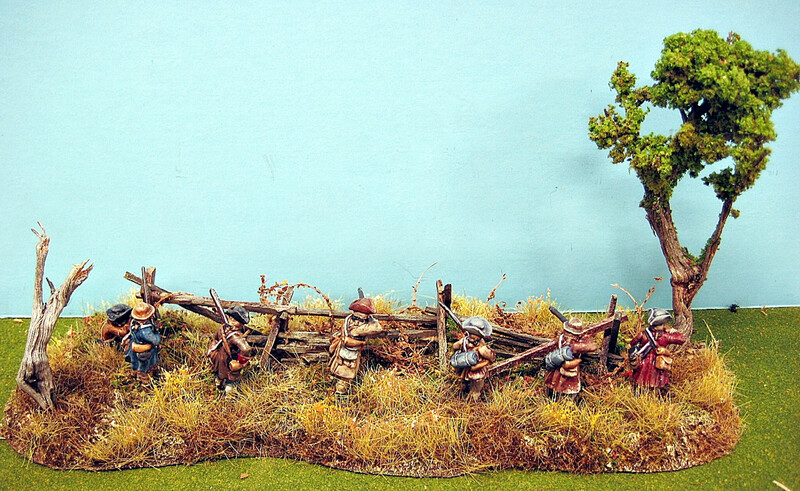 In honor of the day, I dredged up these two pieces that show Patriots sniping at the retreating British from behind a fence and a low stone wall. 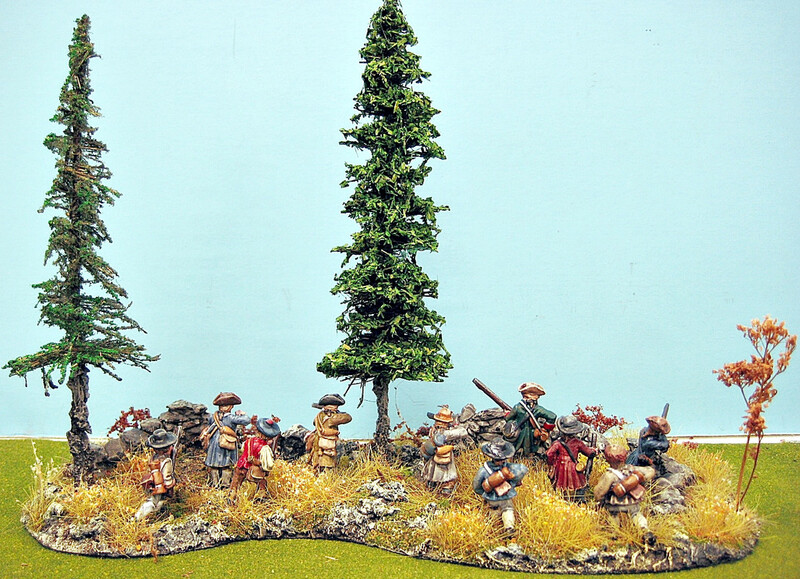 John Bryant painted the figures. I did the rest. *NJH: We did the same thing. There were four of us, my wife another LT and his wife. It was the biggest crowd I ever got into. We took the "T" out of Boston to our car and then home to Hanscom AFB. It was a lot of fun.